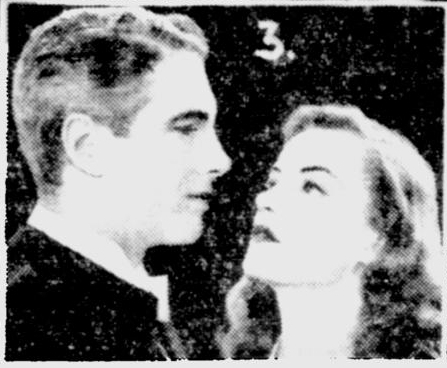 Ella Raines was quite busy in 1944, having five films released that year. One of those movies was Enter Arsene Lupin. 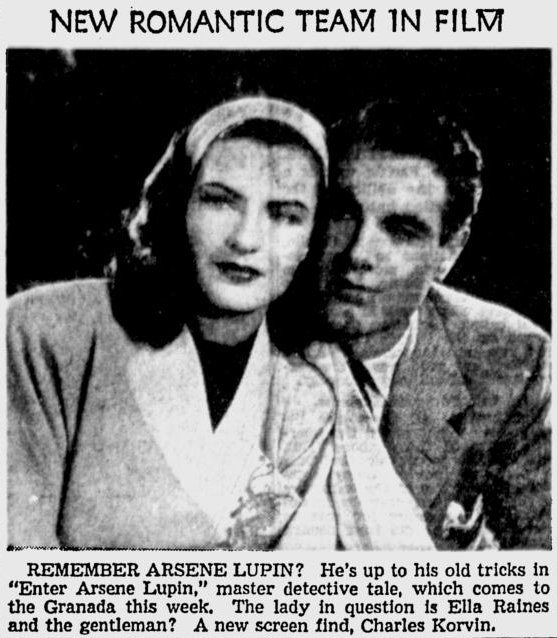 The literary character of Arsene Lupin had been popular onscreen for years and two films in the 1930s with the character had been quite successful. 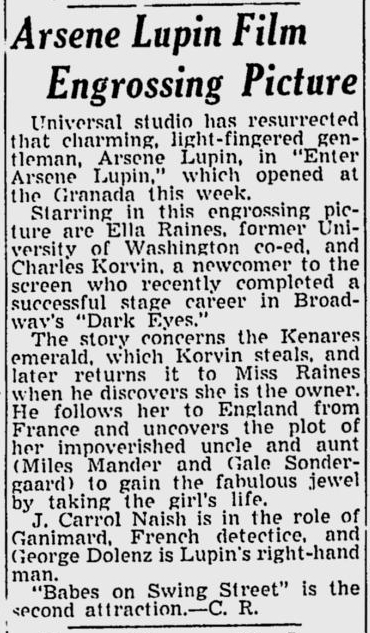 In 1944, Universal Pictures attempted to bring Arsene Lupin back to the silver screen with Enter Arsene Lupin. The results were decidedly mixed. 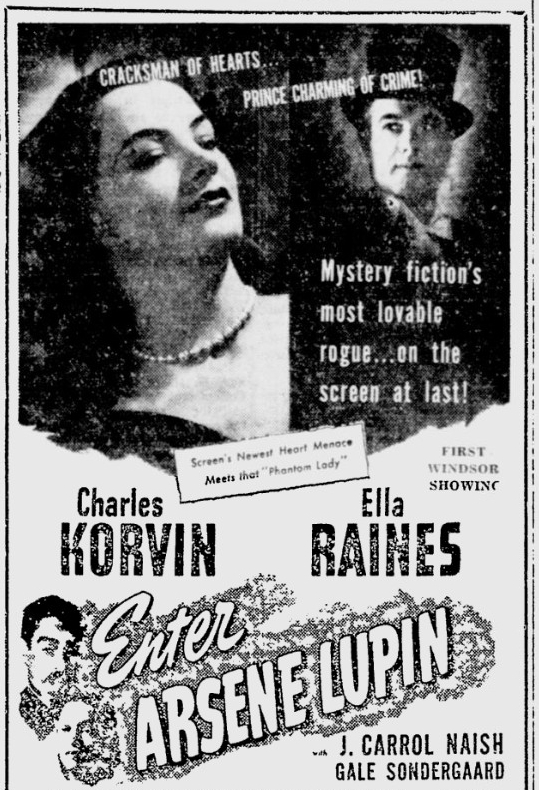 The film quite obviously was not given an very big budget and the then unknown Charles Korvin in the lead role (the actor would find more success on the small screen rather than as a feature film star). 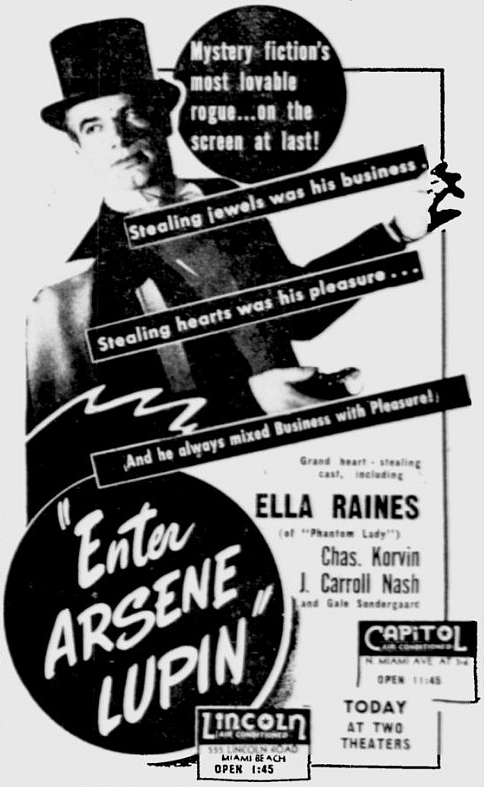 On the other hand, Enter Arsene Lupin is terrific fun and features the presence of the beautiful Ella Raines, whose career was quite hot at the time. All in all, a good movie that is not very well remembered today. 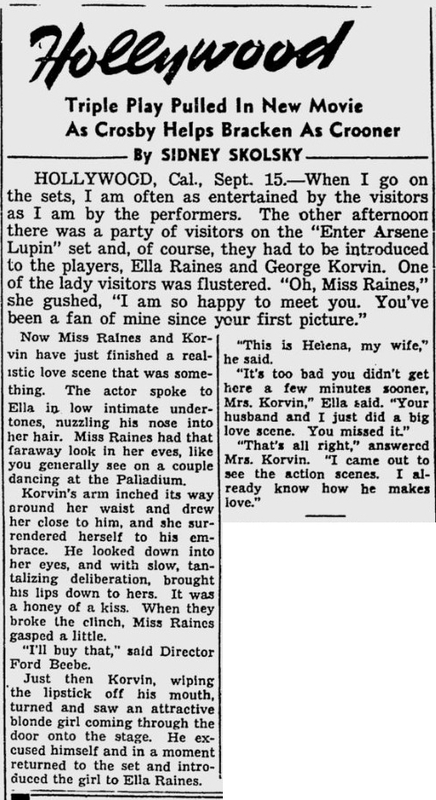 The film did get a bit of attention in the newspapers at the time of it's release and the following is a small collection of press artifacts concerning Ella Raines and Enter Arsene Lupin.